Category Archives for "Fruit & Berries" Superfood Berries and Fruits for Antioxidant Protection and Better Health like Papaya and Avocado. 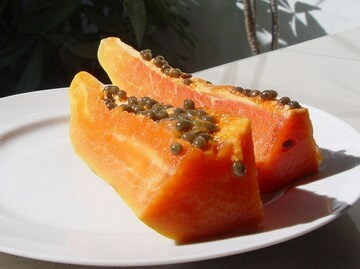 You can eat papaya seeds and they are highly beneficial for detoxification, reducing inflammation, controlling bad bacteria, yeasts and parasitic organisms and particularly for improving your digestive system. 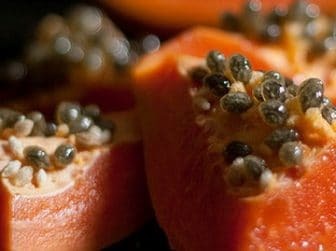 This page will focus on how to use papaya seeds, as well as new papaya seed powder, with dosage instructions for each and a special way to take them to minimize side effects. 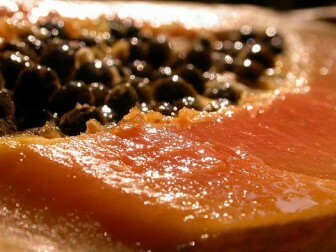 Also ahead, the easiest way to get and store papaya seeds for regular use, how to dry them and preparation suggestions for using the seeds from papaya fruit for better health. 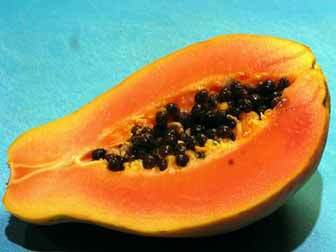 If you can handle that, ahead are 7 powerful papaya seed benefits, potential precautions you need to know and recommended ways to add them to your diet for disease prevention and better health. 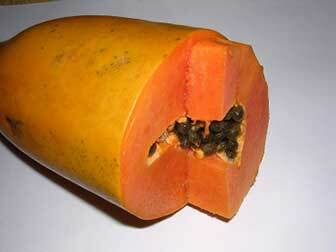 Papaya is full of alpha hydroxy acids and enzymes like papain that break down dead skin cells when used topically. 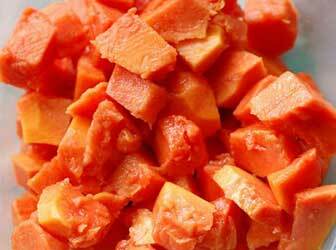 Here are two simple facial treatments for better skin using papaya. 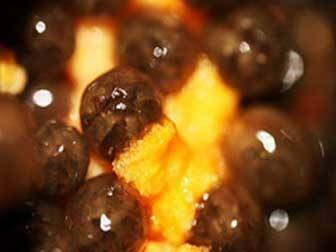 The first is a homemade face mask using papaya and the second is a special way to use fresh papaya peel to improve your appearance. Regular use of fresh papaya fruit on the face often leads to an improvement in the tone, texture and appearance of our skin and even a reduction in fine lines and wrinkles. Many people report online that papaya facial treatments are also useful for treating acne, minor scarring, sunburn and age spots and the papaya mask recipes ahead may be useful for these conditions as well.